We sell professional cycling clothing from world famous makers, Santini, Nalini, Agu and Biemme. Bicycle Jerseys , Clothing and accessories just like the ones pro's wear. We create the finest Custom Bicycle clothing in the world. Custom Bicycle jerseys made for the Professional Cyclists or discriminating rider. We also offer custom printed cycling jerseys with "Special Features". Items like Silicone waist grippers, 4th. Zippered Security pockets with MP3 wire options, lycra sleeves, FULL invisible zippers, SPF 50 Fabrics, Race cut and Club cut. Order today!! Your cycling team deserves to look professional in a new Kit. Check the Sizing & Conversion charts for accurate fit. Bibs and skinsuits are fit by overall girth. Most European bicycle jerseys are cut small. See info page for sizing and conversion charts. For the best sizing results measure a current jersey arm pit to arm pit double this measurement and then select your correct size. All goods in US dollars. We manufacture some of the finest Bicycle Jerseys in the world. We produce a full line of Bicycle Jerseys Custom made with your logos. Bike Jerseys which will allow comfort on and off of the bicycle. World class Cycling Jerseys and Custom Bicycle Clothing for Teams, Events and individuals. We pride ourselves in working hard to make the finest Custom Bicycle Jerseys on the planet. 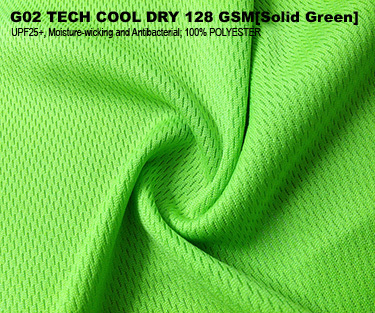 Our Cycling Jerseys will stack up against any manufactures clothing. We also produce Cycling Shorts and waist Shorts with Italian inserts. And Cycling Bibs with Lycra top straps or Mesh tops straps. Once you wear a pair of Bibs you will never go back to waist high shorts. Custom Cycling Clothing for the pro in all of us. If you have interest in Bicycle Team Jerseys we have an options for you. Our Bike Team Jerseys will make everyone feel like a pro. The Team Bicycle Jerseys are designed with your teams logo and all of your sponsors. Our Cycling Apparel is one of a kind and unique. For cold weather riding we also produce Knickers,Gloves, Arm Warmers,Leg Warmers and Knee Warmers. Bike Team Shirts for casual wear off the bike in a Polo shirt or Pit style shirt with a stand up collar. The finest Biking Apparel your hard earned money can buy.